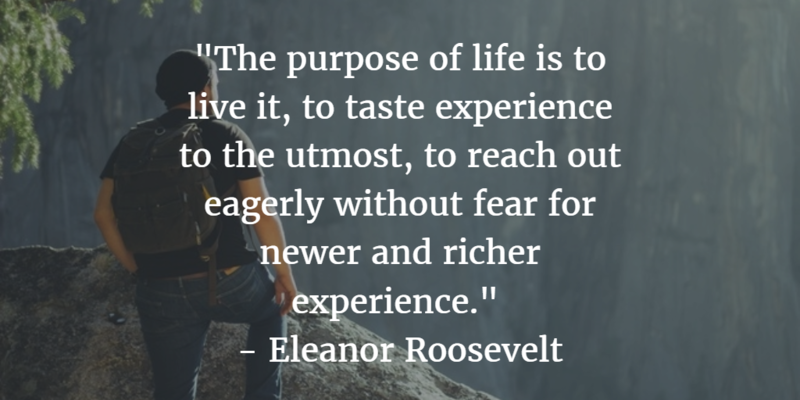 For me, life is about experiences. We all have to dream, strive, and fail before we can achieve success. Maybe we'll discover along the way that the journey is more important than the destination. If you ask anyone what the purpose of life is, you’ll likely receive wildly different responses. The answer to this question is subjective and deeply personal. Different things are important to us throughout the course of our lives. Yet one thing stays with us no matter where we go: our experiences. Finding ways to make the most of our experiences is a challenge that we face every day. As humans we ascribe value to the things we do, and it’s understandable. We like to feel that what we are doing has purpose. It’s important to find fulfillment in our relationships and careers. Cultivate your friendships and find company cultures that fulfill you. It's from those experiences in life that we learn and grow. In this process of pursuing what we love, we can learn valuable lessons about ourselves and the world around us. Difficult and painful experiences shape our character but can also weigh us down. These frustrations burden and prevent us from moving forward. Much of our progress in life relies on willpower and a healthy emotional state. There is a strong connection between physical and mental health - and for these reasons it’s important to address mental health first. If you’re under immense stress and anxiety, your body and mind both require time to recover. It’s best to rest, recover, and slowly build back up your strength. Too often when we are suffering, we will focus only on physical remedies and can ignore our emotional health. Stigma represents a powerful obstacle toward recognizing the need for help. Remember what you’re striving for and why it is important. It’s OK to go to family or friends for help. Find a friendly ear and share your frustrations. Don’t be afraid to take time for yourself to recuperate. 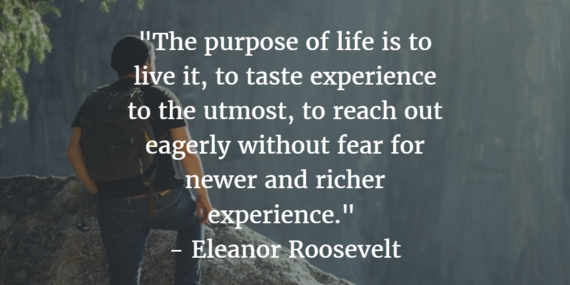 For me, life is about experiences. We all have to dream, strive, and fail before we can achieve success. Maybe we’ll discover along the way that the journey is more important than the destination. David Kirby is a screenwriter, editor, and columnist. You can find more of his work at McCauley's Columns.